Winter season is not so far away, especially for ski resorts in Japan. If you prefer to stay close to Tokyo when you visit Japan, the Hakuba Valley located in the Nagano prefecture, home to the ’98 Winter Olympics and FIS World Cup events, can be the ideal destination for skiing this winter. The Hakuba Hotel Group is the largest luxury property group located in Hakuba, Nagano, which is famous for its spectacular ski resorts with more than 200 runs, 139 lifts, vertical drop of over 1,000 metres and top elevation of 1,831 metres, providing the most variety and excitement of any resort in Japan. Not only can you enjoy amazing skiing terrains in the Winter but the Hakuba Valley has much to offer in the Green Season also with its pure mountain air, clear rivers, fantastic mountain bike trails and incredible hiking routes that make this destination a perfect getaway destination all year round. Guests can enjoy, in addition to skiing, several activities such as mountain biking, hiking, canyoning, kayaking, and fishing. Optional for those who prefer less active activities, guests can take the hot-air balloon ride to view the emerald covered fields against the soaring peaks of the Hakuba Valley. Hakuba Hotel Group offers 5 hotels and 22 private chalets all in prime, strategic locations throughout the valley with quality offerings and spectacular facilities, exquisite dining options, and entertainments for guests. Private chalets are luxuriously appointed with modern spacious interiors and furnishing, hydronic floor heating, free WiFi, dishwasher, oven, electric induction cooktop, upright refrigerator, microwave, crockery, Nespresso machine, large LCD TV, Apple TV with NETFLIX, Bose sound dock, washing machine, dryer, drying room & ski storage locker, lounge area as well as in-house gym, sauna and private BBQ corner to ensure a well rounded experience. 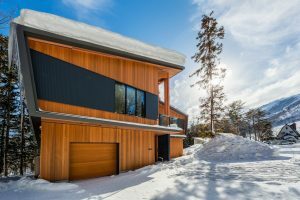 Private chalets are perfect for families and groups that prefer a premium quality of stay that is more unique than the hotel setting. The size of the chalets ranges from 94 sq.m. for 2 bedrooms up to 350 sq.m. 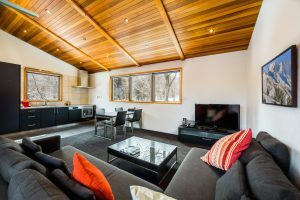 for 4 bedrooms with a maximum capacity of 10 guests per chalet. The guests who stay at one of its private chalets will also enjoy privileges including complimentary pick up and drop off on arrival and departure at Happo Bus Terminal or Hakuba train station, complimentary timed shuttle services to and from the ski fields and supermarket daily, complimentary onsen facilities at Phoenix Hotel, concierge services attending to all guest requirements including booking restaurants, ski hire, lessons, taxi, tours and local advice, and 5% discount at all Hakuba Hotel Group and Phoenix Restaurants with free pick up and drop off service to these venues. 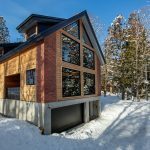 The starting nightly rate is 60,000 JPY per chalet of 2 bedrooms with the maximum capacity of 4 guests. The selling rates are inclusive of all taxes and service charges.